Over the last forty years, local REC’s have been supporting hate crime victims and working together with other organisations to resolve incident and bring hate crime perpetrators to justice. Over the course of time Northamptonshire Rights and Equality Council has acted as an agency that received and co-ordinated reports from all other statutory and voluntary agencies and more recently as an advocate for victims of hate incidents and their communities. The Police Hate Crime Unit was disbanded in May 2014. Northamptonshire Police have currently one officer remaining as a Hate Crime Co-ordinator. There has been a reduction from six officers and one Sergeant from this Unit. Subsequently, Northamptonshire Rights and Equality Council has seen an increase in the reporting of hate crimes directly to the organisation. Between February 2014 and 2015 the (Hate Incident Review Group – HIRG) ceased to meet. The purpose of the groups was to objectively look at the outputs and outcomes for individual victims and improve the level of the service for victims. The Review group is particularly helpful in resolving endemic incidents. The Review group is currently meeting bi-monthly and incidents can be referred to be reviewed by any Hate Crime partner including Northamptonshire Rights and Equality Council. In 2014/15 there were 199 reports made to our organisation. The vast majority of these have been online incidents which were reported as third party reports. Over the last few years third party reporting has been encouraged by those supporting victims. This is particularly because many victims are reluctant to report. In theory it offers an opportunity for police and other partners to gain intelligence about a local situation or issues of concern in the local community. At the beginning of June this year Northamptonshire Rights and Equality Council were advised that there was no investigation of third party reports. The organisation are unsure whether they are recorded in reporting statistics. This is of considerable concern as opportunities for early intervention we would argue are being missed. Between April 2014 and April 2015 there has been a continued increase across all areas within Northamptonshire of hate crime and incident reports to the police, with the exception of Kettering. The biggest increase has been experienced in Wellingborough (175% +7) followed by East Northants (100% +2), Corby (83.3% +5), Northampton (51.2% +21), Daventry (50% +3) and South Northants is stable (0% remained at 1). Kettering has seen a reduction in hate crime reports to the police from last year’s data (-33% -6). 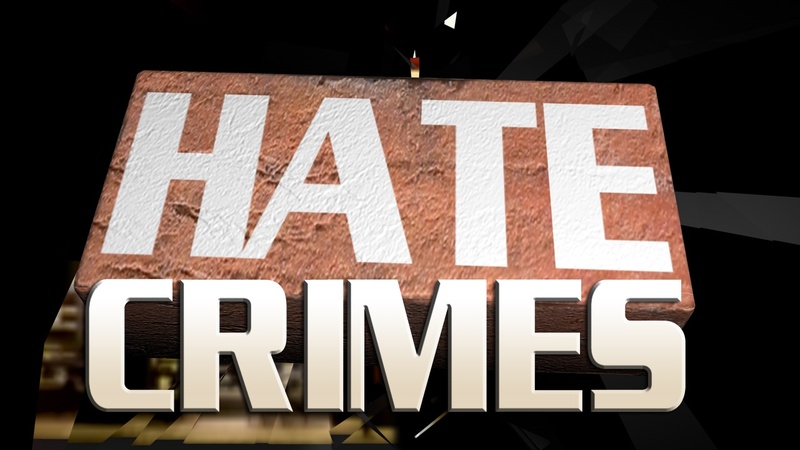 As reflected by national data racism remains the largest of hate crime and incidents reported (72.7%), followed by homophobic (10.3%), disability hate crime (9.7%), faith and religious (3.4%) and finally transphobic (1%). Racism – following a slight dip in reporting for the first two months of 2015 (Jan – 58 and Feb – 65), we have experienced an increase of 90 reports in March and 81 in April. The last two months are a considerable increase above the average number of reports for each month which is 76. Homophobic – Despite only 3 reports in February, reporting has picked up again with 12 reports in March and 16 in April. This is above the monthly average of 10. Disability – April 2015 received the lowest number of disability hate crime reports (6) over the last twelve months. This is below the average of 10 reports a month. Faith/religious – March 2015 received the highest number of reports over the last twelve month period (8) compared to the average monthly reports (3.6). Some of these may have been attributable to the NREC’s reports captured from social media sites. The force is still considering the best way to capture and record this data. Transphobic – remains steady with 1 or 2 reports a month, although April and July 2014 and March 2015 was 0 return. This entry was posted in Uncategorized and tagged bringing perpetrators to justice, disability hate crime, Faith religious hate crime, hate crime, Hate Crime Unit, Homophobia, Racism, support for hate crime victims, Third party reporting, Transphobic hate crime. Bookmark the permalink.